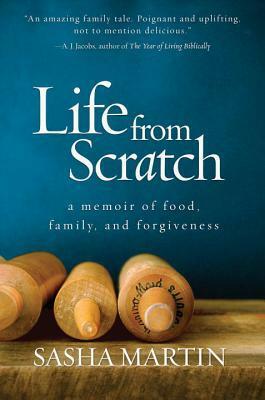 This week's teaser comes from Life From Scratch: A Memoir of Food, Family, and Forgiveness by Sasha Martin . "The better part of wisdom is turning failure into victory. You have to complete the transition." "Feeling different does not guarantee a different result; one has to act to invite change." Come back tomorrow to read my full review of the book! Life From Scratch is The Morning Show Book Club pick for April. Those who read the book have the opportunity to win a meal for two at Ro House, an authentic Vietnamese restaurant in Toronto, Ontario. All you have to do is share your thoughts on the book with @jsquaredink on Twitter or Instagram using the following hastag: #TMSLifeFromScratch by April 22. Details on the contest and TMS Book Club here.